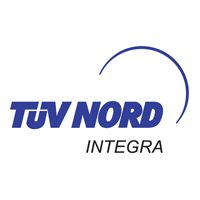 TÜV NORD Integra is a certification body which operates in agriculture and the food and feed industry. We are based in Belgium but operate worldwide and enjoy international recognition. Besides organic, we offer a wide range of certification schemes such as GLOBALG.A.P., BRC, IFS, RSPO, UTZ Certified and many others. With regard to organic certification, TÜV NORD Integra is in Belgium, for more than 25 years, a reliable partner for inspection and certification. Today we certify about 900 operators for organic production, processing or trade. This long experience is a plus: we know the organic sector through and through. Besides, we are investing in being up-to-date with new working methods and evolutions in the sector. To obtain this we get necessary input, among other things, via the EOCC and via our work in the whole non-organic agriculture and food chain. We contribute on a regular basis to working groups on organic legislation organised by our competent authorities and to meetings organised by sector organisations. This in combination with interesting workshops and trainings on relevant issues, gives us the necessary background to deliver a qualitatively good job. Outside of Belgium, TÜV NORD Integra can also offer organic certification in a number of third countries such as Morocco, Egypt, Madagascar, Ivory Coast and other West-African countries.